Laura Spitz teaches contracts, commercial law and business law. Her research focuses on laws’ role(s) in the construction of personal, community, national and regional borders and identities. Within this broader context, she is especially interested in examples at the intersection of economic law, global capitalism and social justice, putting economic regulation in conversation with other bodies of law—local, regional, Indigenous, international, trans-systemic and supranational—for the purpose of advancing contemporary policies aimed at alleviating the lived effects of social and economic inequality. 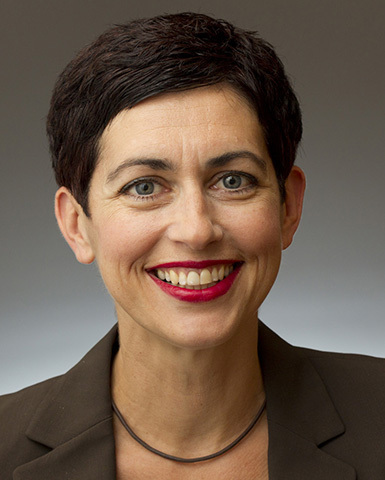 Immediately prior to joining the UNM faculty, Professor Spitz was a vice provost and associate dean at Cornell University, and before that, a lawyer in the corporate commercial group at Miller Thomson LLP (Vancouver Office). Her practice experience includes both domestic and international business transactions, commercial transactions (including secured transactions), tax law, social purpose and non-profit business law, banking law and Indigenous economic development law. Professor Spitz has also taught at the Sorbonne, Cornell University, Emory University, the University of Colorado and the University of Ottawa. Professor Spitz is also active in the community. She has served on the boards of directors of several theater companies, presented as part of continuing legal education programs, joined several Amici Curiae briefs filed in the U.S. Supreme Court, taught as a volunteer art teacher in Albuquerque public schools, participated in panels before the 10th Circuit Judicial Conference and testified before a Georgia senate committee on proposed changes to state exemptions for the purposes of the Bankruptcy Code. Outside of work, Professor Spitz loves rock climbing, reading, hiking, cooking and biking! Please see instructor for description. Cited with approval, R. v. Stone,  2 S.C.R. 290 (Supreme Court of Canada), at paras. 216-217, per Bastarache J.
Reprinted in Jennie Abell and Elizabeth Sheehy, eds., CRIMINAL LAW AND PROCEDURE: PROOF, DEFENSES AND BEYOND (Toronto: Captus Press, 1998 (2d) and 2003 (3d)). Brief of Amici Curiae Professors, In re Jevic Holding Corp.
Brief of Amici Curiae Professors, Husky International Electronics Inc. v. Daniel Lee Ritz Jr.
Laura Spitz from Songhees UVic on Vimeo.